Crohn’s and Colitis UK welcomes the discussion that today’s BBC coverage has created as it generates greater awareness of these often invisible inflammatory bowel diseases (IBD). 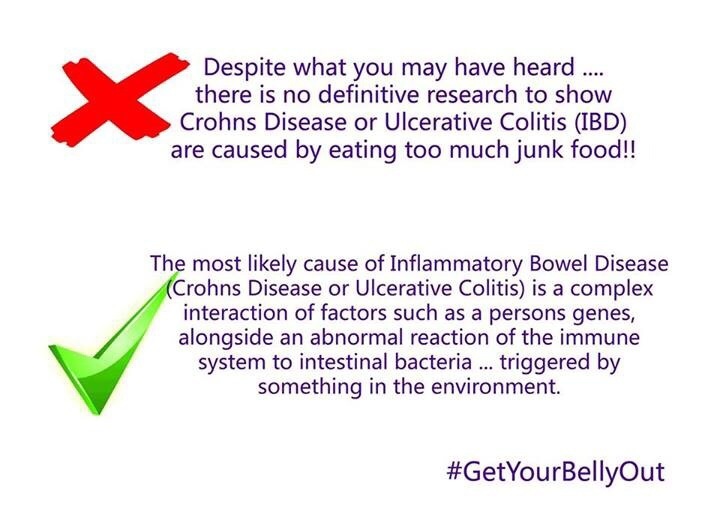 However, the reference to Junk Food being a possible cause of Crohn’s disease is a controversial subject and potentially unhelpful as many patients eating healthy diets have strongly disagreed with the junk food comment. At this point there has been no definitive scientific link made to any particular diets or food additives as being a sole cause of the disease. There are many possible reasons why a patient may develop Crohn’s or Ulcerative colitis, including genetic and various environmental factors, and each patient’s case is individual. The reason for the increased numbers of hospital admissions over the last ten years may reflect the increasing numbers of patients, often young people, being diagnosed with IBD. An estimated 10,000 young people are diagnosed with both Crohn’s and Ulcerative Colitis every year. The increased admissions figure may also reflect the fact that hospitals are improving their data information capture systems. We need more studies and information to offer a more definitive answer. IBD and junk food - a big rant! Bloggers Lounge Blogger of the Year finalist!